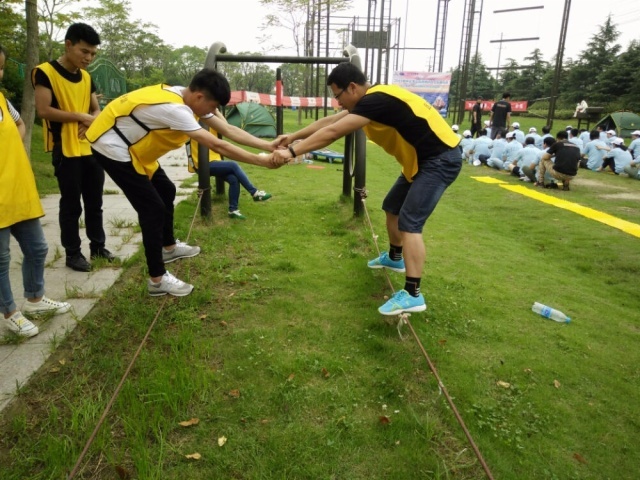 Suzhou Gold Ocean organized the staff for outward bound on July 16th, in order to give the stuff confidence, tenacity, perseverance and to build bravery of harsh conditions. And the landscape and scenery in suburban town of Suzhou is extremely beautiful. 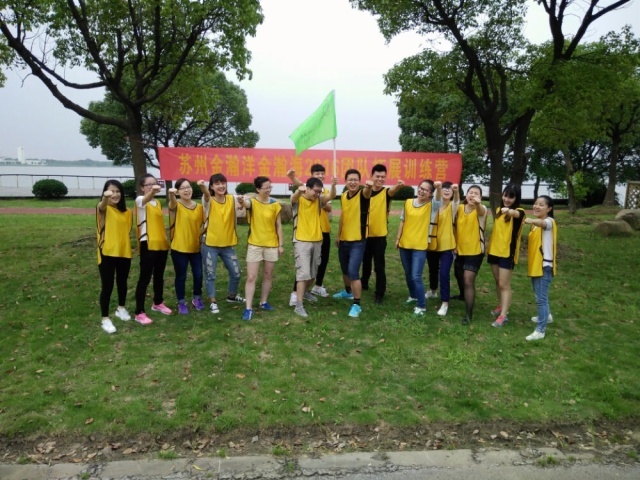 At 7:00 am, all emplyees gathered at the entrance of the company, then drive to the destination. And arrived at Yangcheng Lake Water Park at 9:00 am. Yangcheng Lake Water Park is 37 km from the Suzhou city center, where the scene is lovely, air is clear and flower is blossoming. Roaming among them, you will feel it is the fairyland and paradise. After a short break, the head coach gave us a short welcome speech. Then we started the trainning from two interesting games. 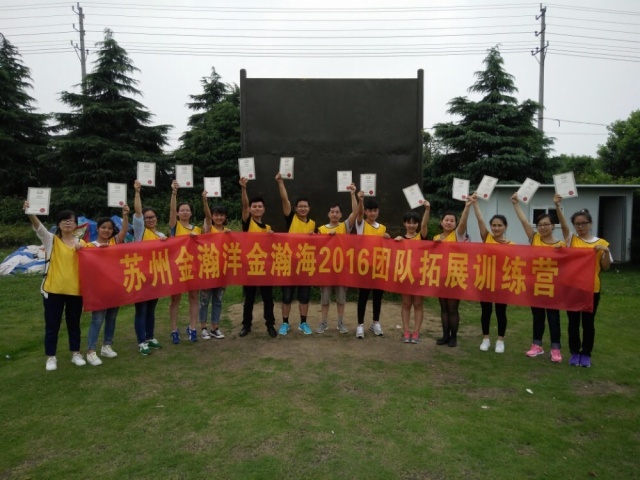 Coach sucessfully gave full play to the staff's initiative and enthusiasm of employees. 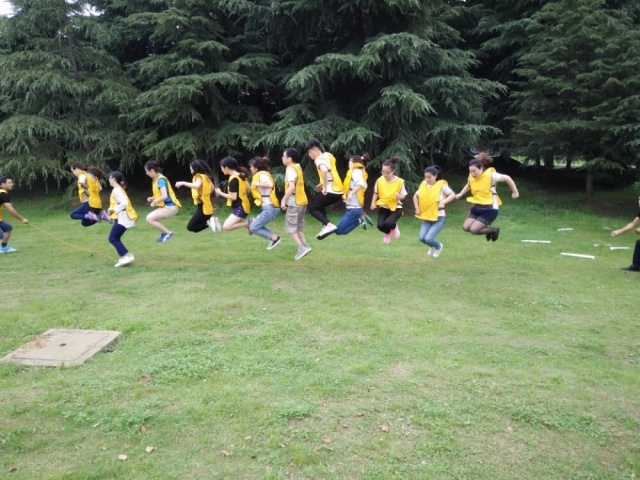 The first training is grabbing bar in high altitude. Several girls felt scared, but finally they overcame their fear after Coach's patient encouragment and instruction. "Difficulty will be stronger in people's imagination and weaker in action", says Coach. 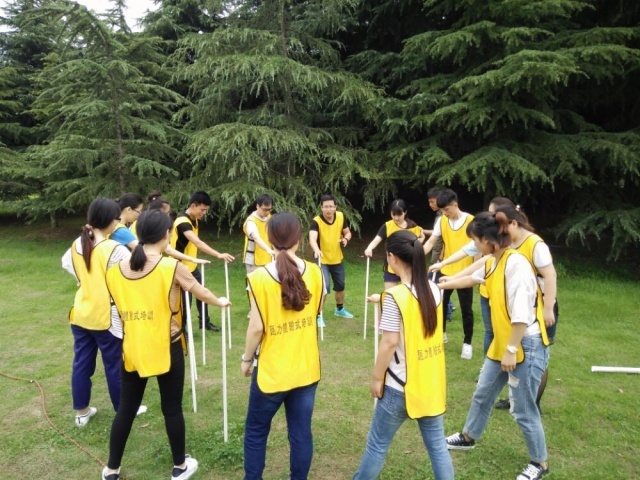 In the afternoon, we experienced a variety of interesting and instructive games, including: Trust fall back, Over the wall to survive, etc. All the games have one topic- we are a team, we are family. The training finished at 5:30 pm. After one day of outdoor bound, we were a little bit tired, but we were happy, and we had more passion in future work.